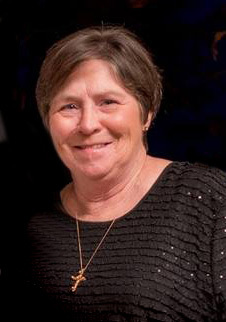 Nell Whidby Mooney, 70, passed away peacefully on January 17, 2019 after a courageous battle with cancer. She was preceded in death by her parents; James and Mary Elizabeth Whidby and her father-in-law, Neal Arrington Mooney. She is survived by her husband of 50 years, Jack; brother, Jim (Bobbie) Whidby; sons, Neal and James; grandchildren, Robbie, Katie, Jackson, Helen, Arrington, McKenzie and Parker; mother-in-law, Mrs. Willetta Mooney; cousins, nieces, nephews, aunts, uncles, her special friend, Sue Lewis and her faithful dog, Willie. Nell touched so many lives. Her extended family included her friends, their children and their grandchildren. She will be greatly missed by her "River Family." Nell was an avid gardener and would not miss a game of her beloved Crimson Tide. "What we once enjoyed and deeply loved we can never lose, for all that we love deeply becomes part of us." There will be a graveside service at the Orrville Cemetery on Sunday, January 20, 2019 at 2:00 p.m. with Reverend Cory Horton officiating and Lawrence Brown-Service Funeral Home directing. There will be no formal visitation.